Pokken Tournament was a game that deserved better. Originally released in Japanese arcades, this odd fighting game eventually made it to the Wii U in March 2016, by which time Nintendo’s system was already hanging onto a cliff edge by its pinky. Despite this it still managed to shift around 1.3 million copies, which is bloody good going when you consider only 13 million Wii U consoles were sold. 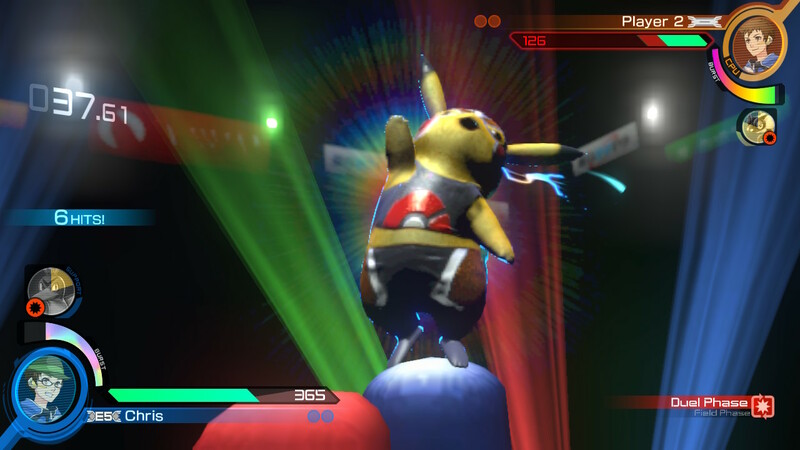 With Pokken Tournament DX, the hope is surely that – as with Mario Kart 8 Deluxe – by porting the game over to Switch it’ll get another chance at reaching a wider audience. It really does deserve to, mind you, because it’s actually a fun little fighter that makes good use of the Pokemon licence. For the uninitiated, Pokken Tournament is a fighting game developed by Bandai Namco Studios, the same folks responsible for the Tekken series. 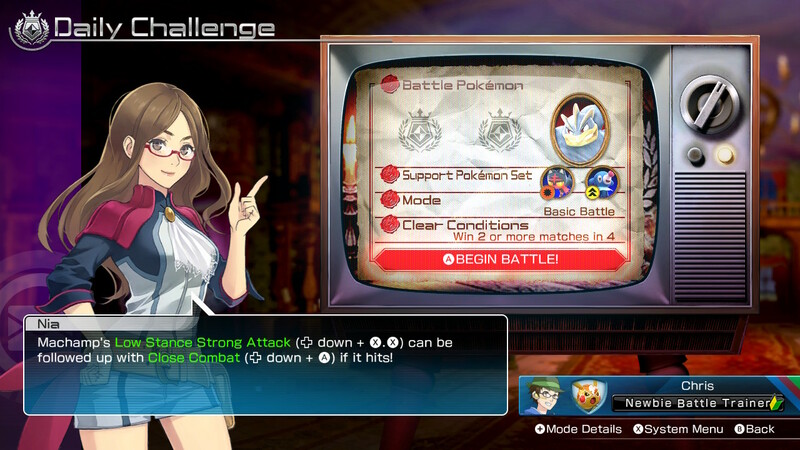 Pokemon + Tekken = Pokken, you see. Look, think yourself lucky we don’t live in an alternative universe where a different early PlayStation fighting game became popular instead, otherwise we’d all be playing Battle Arena Pokinden. The aim, obviously, is to choose from a roster of 21 Pokemon and kick seven shades of Pokepish out of your opponent. Simple as that. Oh, you beautiful, naive child, this isn’t the Pokken you knew and loved way back… um, just a year and a half ago. There’s a reason this Switch version has ‘DX’ in its name, and it isn’t anything to do with the famed Attitude Era WWE stable. The DX stands for ‘deluxe’, you see (I know that makes no sense, but it just does), and part of that is down to the addition of five characters who weren’t in the Wii U version. Four of these new fighters – Croagunk, Empoleon, Darkrai and Scizor – were actually added to the arcade version of the game over time (yes, the coin-op got DLC while the Wii U one didn’t), so they should already be familiar with anyone who plays it in arcades. Which, given how few arcades are left in the UK, is nobody. The fifth and final new fighter, meanwhile, is exclusive to Switch. It’s Decidueye, the weird grass/ghost owl thing from Pokemon Sun and Moon. How does the combat work, then? Pretty much the same as it did in the Wii U and arcade versions. Battles are split into two ‘phases’ – field and duel – and you switch between them by landing certain moves on your opponent. In the field phase your Pokemon can roam around the arena, firing projectiles and trying to avoid the other player’s until you’re able to close in for a physical attack. Thwack them with the right attack and you’ll trigger the duel phase, which switches the action to a more standard side-on fighting game viewpoint and locks the fighters on a 2D plane. This is where you can start pulling off combo moves and the like to do hefty damage to your opponent. We aren’t talking the sort of complicated movesets like you’d get in Street Fighter (or, indeed, Tekken) but there’s enough variety in there to mean you don’t have to just batter the same attack button over and over. Land enough attacks and you’ll build up your Synergy Gauge, which works a bit like a Super Meter in games like Street Fighter. Fill it up and you can hit L and R together to enter a more powerful state. Even better, hit L and R again while powered up and you’ll attempt a special move which does huge damage and triggers an often over-the-top cutscene. 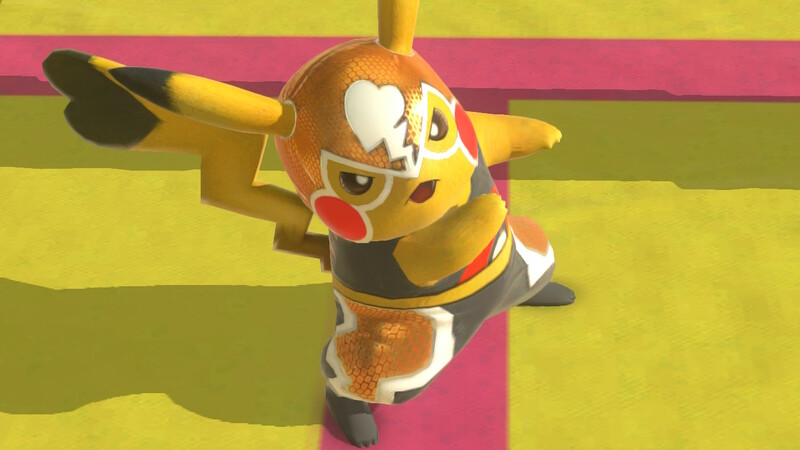 Lucha Pikachu, for example, drops its opponent into a big wrestling ring and leaps off the turnbuckle onto them. Finally, there are Support Pokemon. Before each match you get to choose from a bunch of set pairs of Pokemon. By pressing L during a battle when they’re available, they’ll hop in and support you with an attack or status change. It’s what used to be known in Glasgow as “having a hauner”. 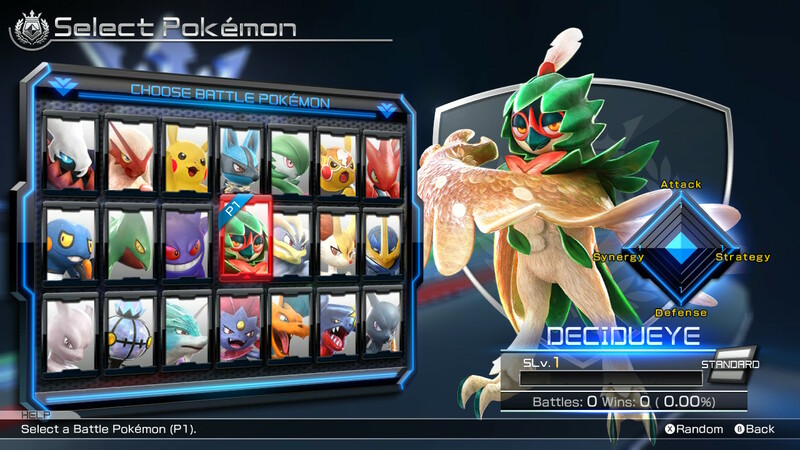 Pokken Tournament adds two new Support Pokemon, Litten and Popplio, but considering there were already 30 in there they don’t really add much to proceedings. 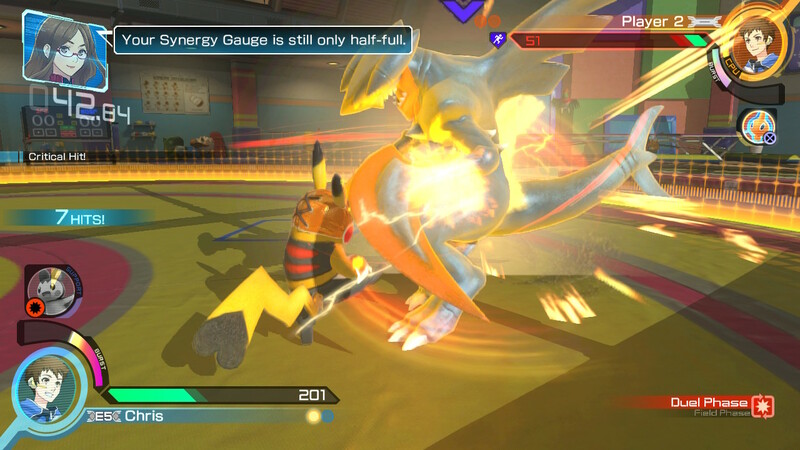 That’s Pokken, then: long story short, it’s a fighting game with Pokemon. While it’s nowhere near as complex as other fighters it does have enough variety in there to make it fun, especially against other players. Naturally, that’s where it thrives better on Switch than on Wii U, what with the ability for each player to use a single JoyCon. The same online multiplayer is also there too, although I can’t really comment on that yet because if you can’t find an online opponent within 10 seconds it places you in a CPU battle. Given that so few have the game at the time of writing this review, I haven’t actually been able to find a single player yet. Still, it appears to be essentially be the same as the Wii U version, which was functional enough and offered no extra bells and whistles beyond ranked battles, quick battles and a basic lobby option. It’s actually the single-player element of Pokken Tournament DX which adds the most new features. A new Daily Challenge mode gives you a new set of conditions each day and asks you to complete them for a reward: for example, it may specify a Pokemon and Support Pokemon that you have to use and ask you to win 3 out of 4 battles it chooses for you. 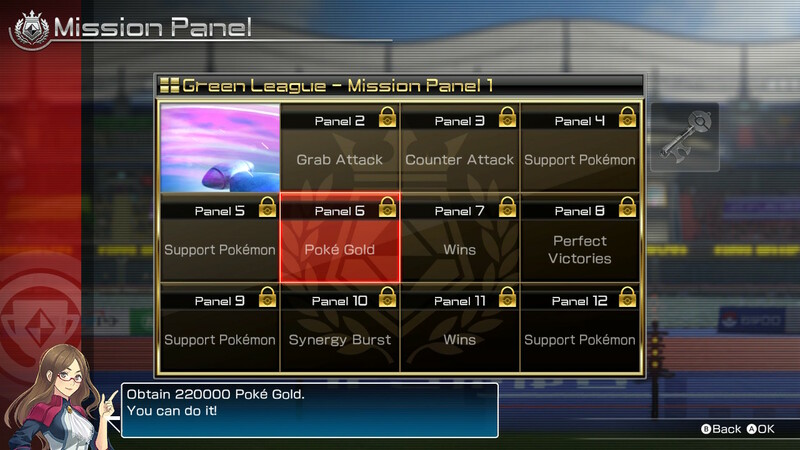 Of greater interest to me is the addition of the ‘Mission Panel’ in the Ferrum League mode. This is the main single-player mode, and has you taking part in a bunch of increasingly difficult leagues by beating lengthy series of opponents. In the Wii U version this mode felt like one hell of an almighty slog, because you were just fighting opponent after opponent until either you cleared the league or forced your own face through a pristine glass window out of a sheer desperate attempt to add any sort of excitement to the situation. This time though you’ve got the Mission Panel, which consists of a bunch of achievements you have to complete while fighting your way through everyone. They’re fairly basic for the most part – use a specific Support Pokemon a certain number of times, perform a certain number of throws – but they at least mix things up a bit and stop things feeling quite so repetitive. In reality, that’s about it for new features (other than a new three-on-three fight mode where you pick three characters and try to defeat an opponent’s trio one at a time, King Of Fighters style). The main question then, as ever, is whether you should get the game. It really all depends on your current level of experience with it. If you’ve never owned Pokken Tournament before it’s a fun if simplistic fighting game which will be perfect for playing on the move. If you have the Wii U version though and still play it, the addition of a couple of extra characters and a few new features don’t really amount to enough to justify a double-dip: unless you’re specifically looking for a handheld version, you might be fine sticking with the one you have. It’s really up to you to pick and choose. Pik and chuse. Pikachu. 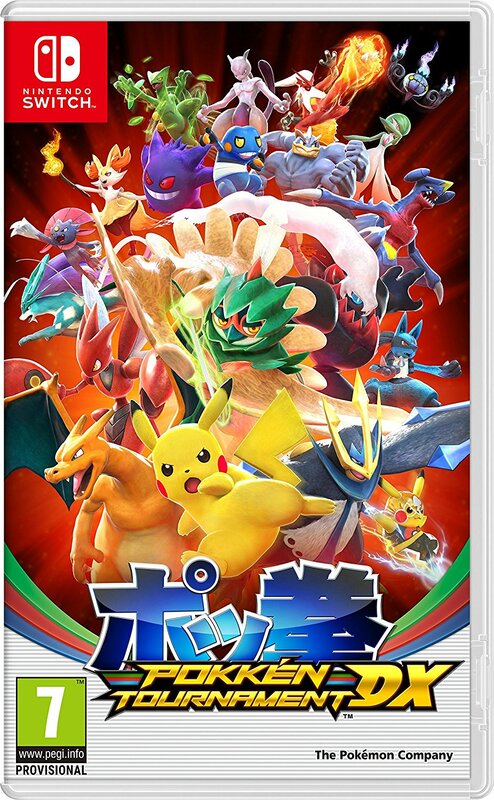 Pokken Tournament DX is is out on 22 September, priced £49.99 / $59.99 on the Switch eShop. You can also buy the physical version from Amazon UK.